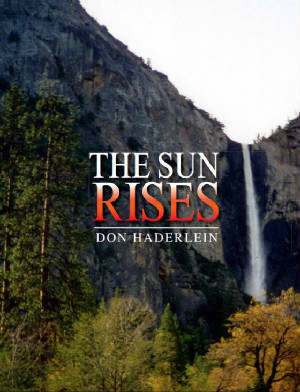 "The Sun Rises" the third installment of the "Through The Life" trilogy series by Don Haderlein. To purchase a copy of these inspirational poems and fine art photography click below. "Through The Life" trilogy books. Buy A Copy Now fo this inspirational poetry and art photography book! "Through The Life" by Don Haderlein is poetry for the soul. The book is a collection of poems, short stories and song regarding peace, spirituality, recovery and personal growth. It is published by Fairway Press and available at Amazon.com or through this website. 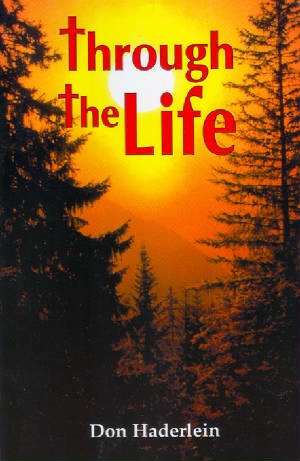 "Through The Life" is a reflection of a spiritual journey told in a deeply personal manner that rings true universally. An inspiring book that reframes the timeless message of the Gospel for today. It is a celebration of the life and teachings of Jesus. "Through The Life" depicts the joy and suffering of living out the Gospel in a broken and ever changing post-modern world. "Haderlein is an efficient craftsman; he weaves an entire universe into 54 pages." "Eloquently expressed in content, style, and meaning." "Filled with sharp imagery and the subjects are interesting and entertaining"
"When I finished reading your book - I felt at peace. It changed me and my day." "It is an enticing blend of love and justice. It challenged me to find the balance of them in my own life. Your vision is both profound and expansive"
Buy a copy of Through The Life now! 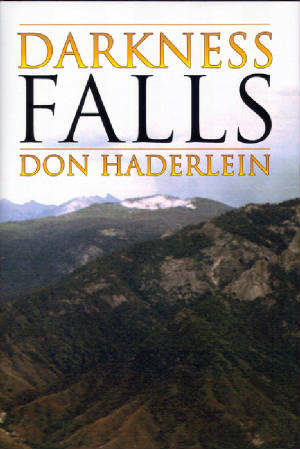 Don Haderlein's Darkness Falls is a follow up to his first poetry book, Through The Life. This second book continues man's search for truth as seen through life's darkest moments. Buy a copy of Darkness Falls Now! Thesis published by California State University Northridge.